Removal ProcedureSet the park brake and chock the wheels. 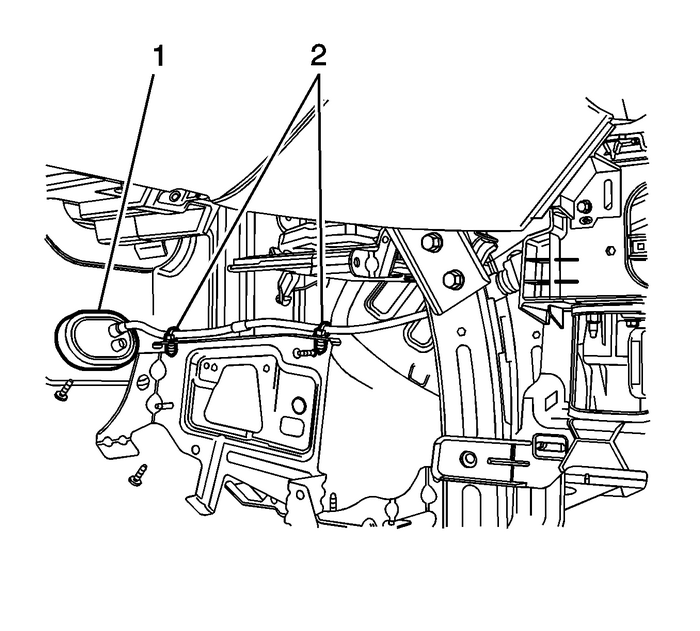 Disconnect the transmission range selector lever cable terminal-(1) from the transmissionmanual shift lever pin-(6).Slide the retainer-(4) rearward to release the transmission range selector lever cablefrom the bracket.Remove the left front floor lower console extension. Refer toFront Floor Lower Console Side Finish Cover Replacement - Left Side. 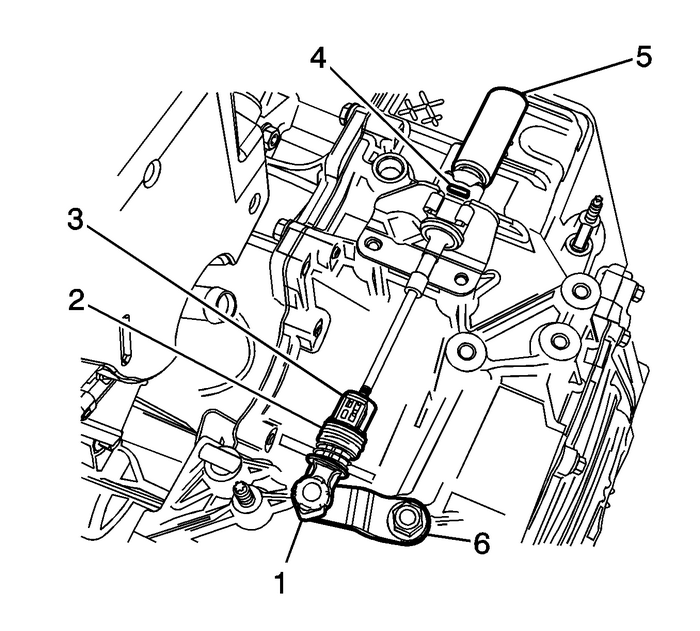 Disconnect the transmission range selector lever cable retainers-(2) from the supportbracket.Remove the grommet -(1) and cable assembly from the floor panel. Slide the transmission range selector lever cable retainer forward-(1) and removethe transmission range selector cable from the transmission control base.Disconnect the transmission range selector lever cable terminal-(2) from the shiftlever pin.Remove the transmission range selector lever cable from the vehicle.Installation ProcedureInstall the transmission range selector lever cable in the vehicle. 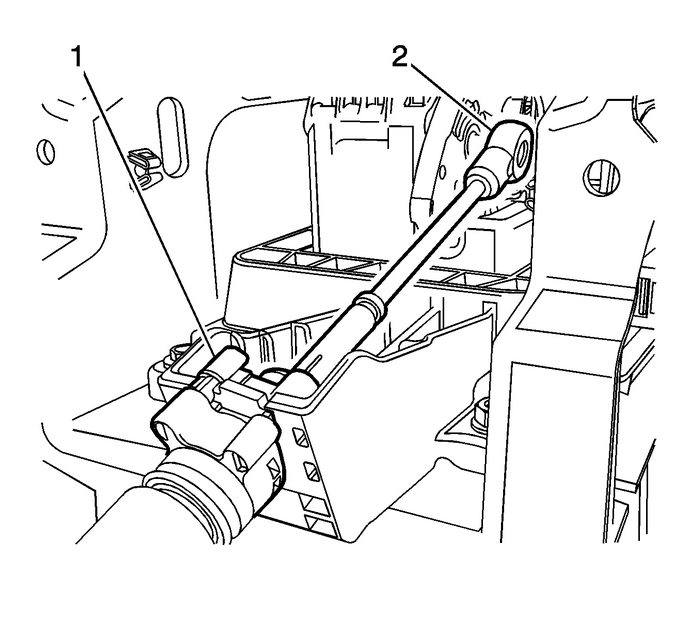 Connect the transmission range selector lever cable terminal-(2) to the shift leverpin.Install the transmission range selector cable to the transmission control base, thenslide the transmission range selector lever cable retainer rearward-(1) to lock thecable in place. Install the grommet -(1) and cable assembly into the floor panel.Connect the transmission range selector lever cable retainers-(2) to the support bracket.Install the front floor console extension. Refer toFront Floor Lower Console Side Finish Cover Replacement - Left Side.